Bali Nine heroin courier Renae Lawrence has attended a Hindu ceremony of thanks at the small temple inside her Bali jail today. Lawrence, wearing white and with a sash around her waist, spent only a short time at the ceremony, where she was blessed with holy water. A Balinese Hindu High Priest conducted the ceremony and a series of offerings were taken into the prison to thank the Gods. 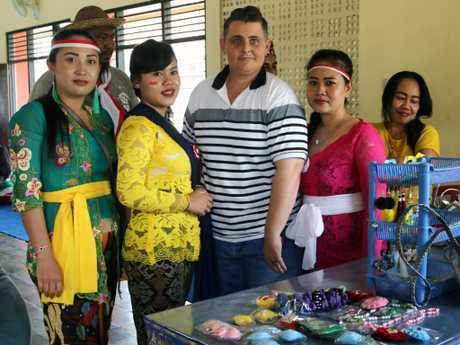 The ceremony was held at Lawrence's request, as a thanks for her safe time at the small Bangli jail in north-east Bali. Lawrence, 41, will be freed from jail on Wednesday after serving 13 years and seven months of her 20-year heroin trafficking sentence. She is the first Bali Nine member to be freed. The rest are on life sentences with no hope of freedom. Two have been executed. 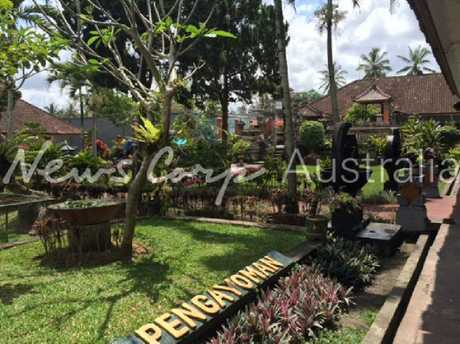 Renae Lawrence, the only one of the Bali Nine to be freed, has been held at Bali’s Bangli jail. Lawrence, one of four couriers arrested at Bali airport, received the lowest sentence. Lawrence's former lawyer Anggia Browne, who represented her after her arrest and at the trial, visited her at the jail late today. 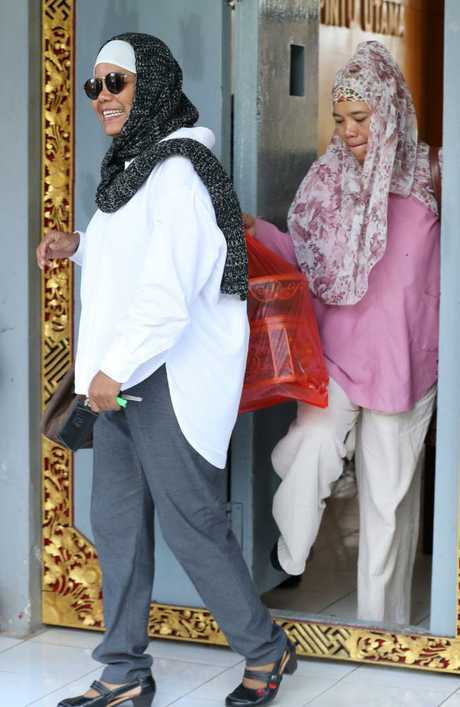 Ms Browne and her sister, Lily Lubis, the former lawyer for Schapelle Corby, spent a short time visiting Lawrence. Renae Lawrence's former lawyer Anggia Browne, on right, and her sister Lily Lubis, who represented Schapelle Corby, leave Bangli jail. Picture: Liam Kidston. Ms Browne said Lawrence was going well and was ready to go home. "She's good, she's good, she's ready," Ms Browne said as she left the jail. The sisters left carrying handicrafts made in the jail. Hindu High Priest Ida Bagus Begawan Wiram Rudra Parama Daksa arrived at Bangli jail today about 9.30am. His entourage bought baskets of traditional offerings which were placed in the temple inside the jail. "It was only to say thank you because Renae has been properly guided here, and she is now leaving in a good condition. (To) say thank you to the nature that have guarded her during her stay here. She feels happy as she has been guided well during her time here," Mr Ida Bagus Begawan said outside the prison after the ceremony. "Because she lives in Bali, the point is, she wants to say thank you. "It's farewell, thank you," he said. Mr Ida Bagus Begawan said Lawrence had been blessed with holy water. He said she was well and in a good condition. The ceremony comes as Justice Ministry and Immigration officials meet in Denpasar to discuss her impending release. Lawrence's sentence expires on Wednesday and she will be met at Bangli jail by Immigration officials who will take her into Immigration custody and deport her from Bali. 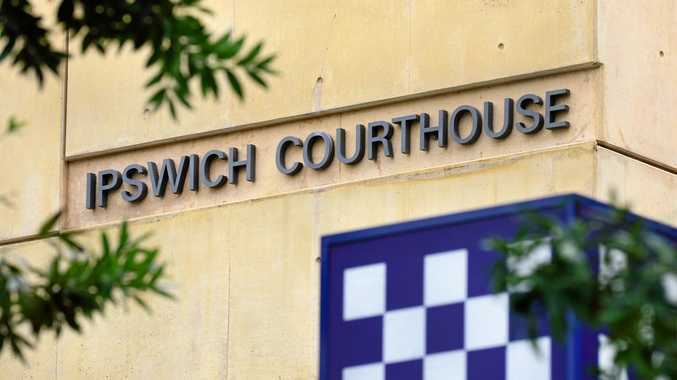 Lawrence will then be flown home to Sydney and likely banned from returning to Bali for at least six months. The Balinese Hindu High Priest arrives to conduct the farewell ceremony. Picture: Liam Kidston.